Thanks for visiting my website! To make your job of finding quality entertainment hassle free, please use the quick links below to find information regarding my most popular magic show packages. Don’t forget we can customize a show to fit your event. Contact us with any questions you have and for pricing details as soon as possible so that your date and time do not disappear! 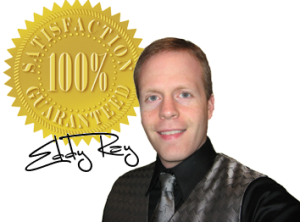 Why Hire A Magician in Lebanon County PA? Hiring a magician in Lebanon County will make your event fun and unique. Magic is all about making the impossible, possible! A magician in Lebanon County can thrill and delight your guests and create magical moments that will last a lifetime. 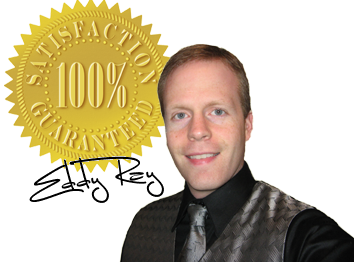 Eddy Ray’s audience smiles, laughs, and participates in each and every show making for a time that your guest will talk about for years to come. All of the magic performed by this Lebanon County magician is age appropriate and is visual in nature. In fact some of the magic will even happen in the hands of your guests, which creates a lot of “oohssss and ahhhss”! Delightful and jaw dropping magic that will also tickle your funny bone.. complete family entertainment perfect for kids and adults! When attempting to hire a magician in Lebanon County it’s crucial to find someone who is a professional. There are a lot of “average joes” who can do a satisfactory job for your event, but don’t you want more? Not every Lebanon County magician will meet your expectations. Here are a few things to look for when hiring a magician in Lebanon County. Can the magician in Lebanon County offer you a few different options and show packages? Is the magician in Lebanon County willing to work with you and customize a magic show to better fit your event needs? By asking these questions you should be able to get a firm feel if the magician is the right choice or not. Eddy Ray also offers magic show packages that are not listed on t his site, it’s tough to list every single thing.. but don’t worry. Eddy Ray has a entertainment package that will fit your event perfectly. From just several people.. to thousands.. this Lebanon County magician has a wide range of magic shows that can be customized for any type of event and venue. Please make sure to ask the magician in Lebanon County for proper testimonials and if they guarantee their services. All of this information is vital if you want to find a professional magician in Lebanon who will make your event memorable. This magician in Lebanon County has amazed children and parents with programs at local libraries in Lebanon. He also has performed for summer camps in the area including one at the Milton Hershey school. Lebanon County magician Eddy Ray performs over 15 shows each month and gets booked up sometimes months in advance. Even if you are just thinking about your event, it’s important to contact Lebanon County magician Eddy Ray early to get your date and time reserved. Don’t miss out on the chance at having a full time professional magician help make your event a super hit! Eddy Ray, a Lebanon County magician is a full time professional. He performs his fun magic shows which are family friendly all over the Lebanon County area and beyond. Call him today for more information at 1-877-297-7252 . He can give you free information for your event and a price quote.